We are offering Non-Tip Pet Bowls to our clients. We manufacture and export high quality stainless steel Regular Feeding Bowls in various shapes, sizes and designs. This range of our pet products are used across establishments that serve food. These are available at the industry leading price. We are manufacturing and supplying a wide range of Rabbit Bowls that have been made from the best possible material. 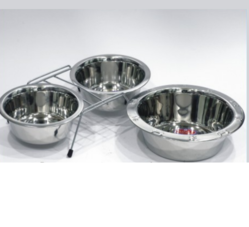 We are uniquely positioned ourselves as one of the best and elite array of Stainless Steel Pet Bowls. They are available in stainless steel and rust free in nature. They are available in many sizes and smooth in finishes. Too they are cost effective in rates. We manufacture, export and supply superb quality Stainless Steel Pet Bowls. Designed in numerous designs, the Stainless Steel Pet Bowls come in different shapes and sizes to meet all the requirements of our diversifies customers. They feature excellent finish and are light in weight for which they are also appreciated. 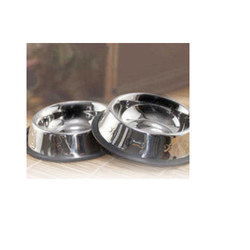 As an affluent entity of this domain, we are affianced in offering premium quality array of Stainless Steel Pet Bowl. These simple yet elegant nut bowls are made from top quality stainless steel. We provide nut bowls in mirror polish. We have been counted amongst the most trusted names in this domain, engaged in offering standard quality range of SS Pet Bowl.